It may sound odd, but it can be dangerous to make an oral routine into just another routine of your day. While it is important for you to have a regular oral hygiene routine, you don’t want that routine to become mundane. If your routine becomes just another thing you do, it doesn’t provide you with the same level of oral health that it should. You need to focus on keeping each tooth clean, not trying to multitask and just get that thing crossed off for the day. 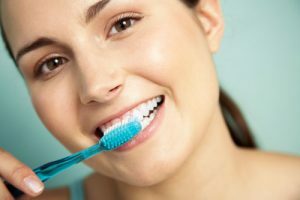 If you now realize that your oral hygiene routine has gotten a bit stale, then it is important that you take time to shake things up a little. Instead of always starting with your toothbrush in the same spot, flip sides. If you want to pay more attention to your teeth, brush with your non-dominant hand. It forces you to pay more attention to how clean your teeth are. Instead of just going through the motions, you have to watch what you are doing and make changes to get your teeth as clean as possible. Making simple changes can also help you make brushing your teeth a bit more involved. Try changing your toothbrush out for a new kind and see if you pay more attention. Simply changing your flavor of toothpaste can also go a long way towards getting you to take note of your teeth and brushing routine. If you aren’t sure if your routine is working or not, ask your dentist. They will take a look around your mouth and see what is going on. If they find areas that are not being given enough attention, they will show you where the problems are. Then, you can decide how to change your routine to make it more involved. If you have any questions contact our office.